Write for College is currently being printed and will ship by mid-February, 2018. Write for College is the perfect handbook to help students write, read, study, speak, and learn in high school, college, and the workplace. 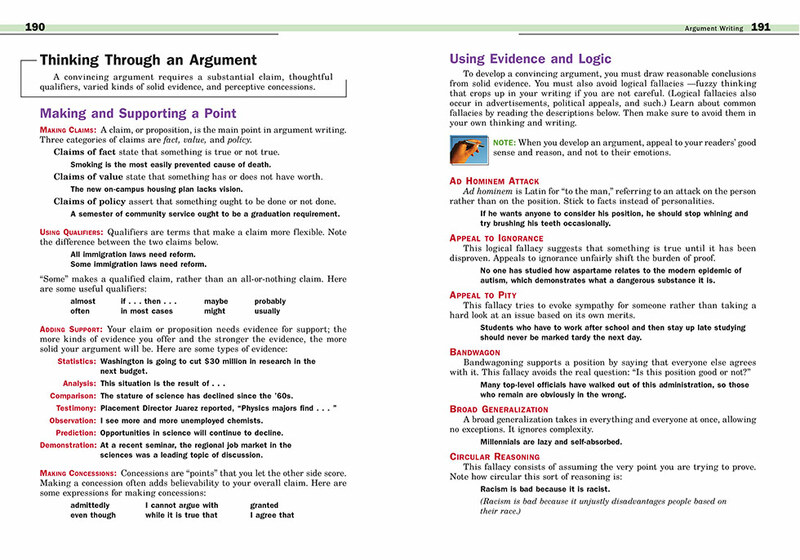 The handbook helps them develop the writing rigor that colleges expect in argument essays, research reports, entrance essays, and much more. Students read dozens of high-interest models and use guidelines and checklists to create their own writing. 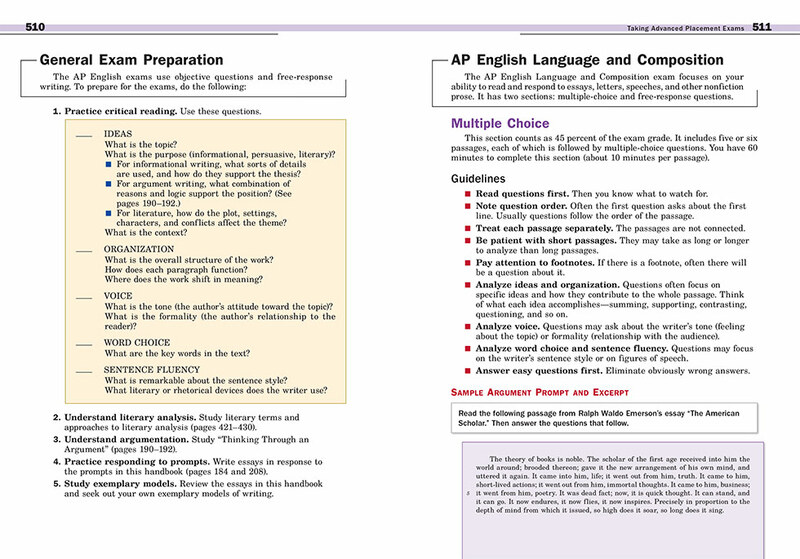 They also learn strategies for testing well on Advanced Placement exams, college-entrance exams, and other high-stakes assessments. 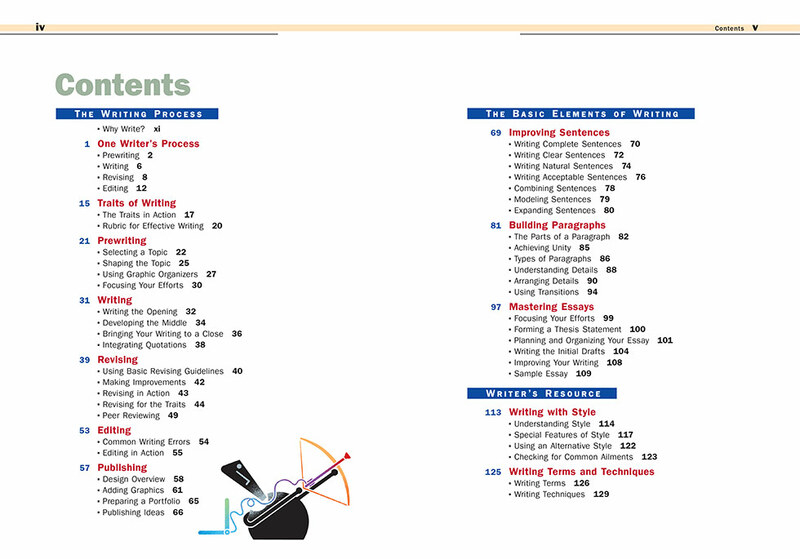 The Process of Writing teaches specific strategies for prewriting, writing, revising, editing, and publishing. The Forms of Writing include guidelines, models, and checklists for every type of writing: personal, narrative, explanatory, argument, literary, creative, and research. 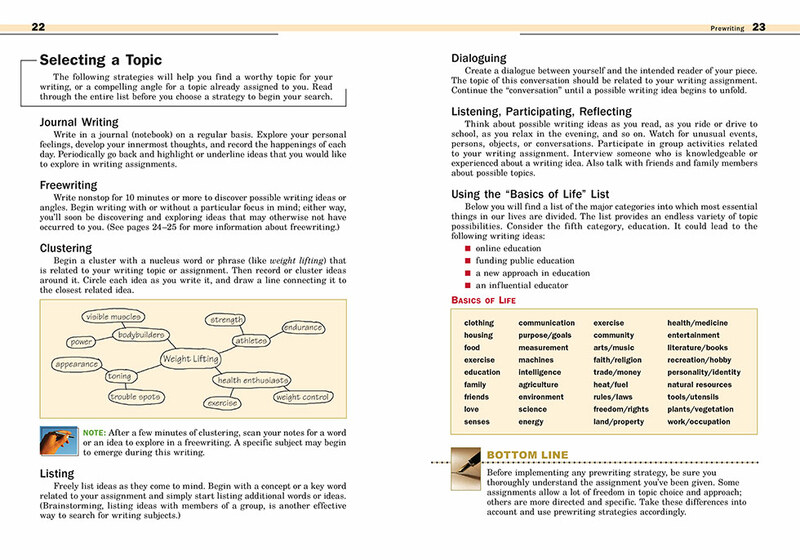 The Tools of Learning help students read, study, collaborate, and test for success in high school and beyond. 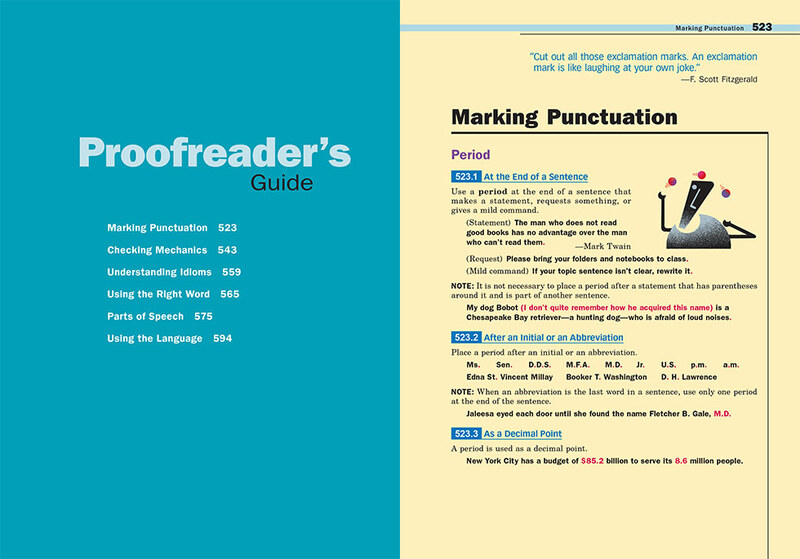 The Proofreader’s Guide teaches punctuation, mechanics, spelling, usage, grammar, and sentence rules. 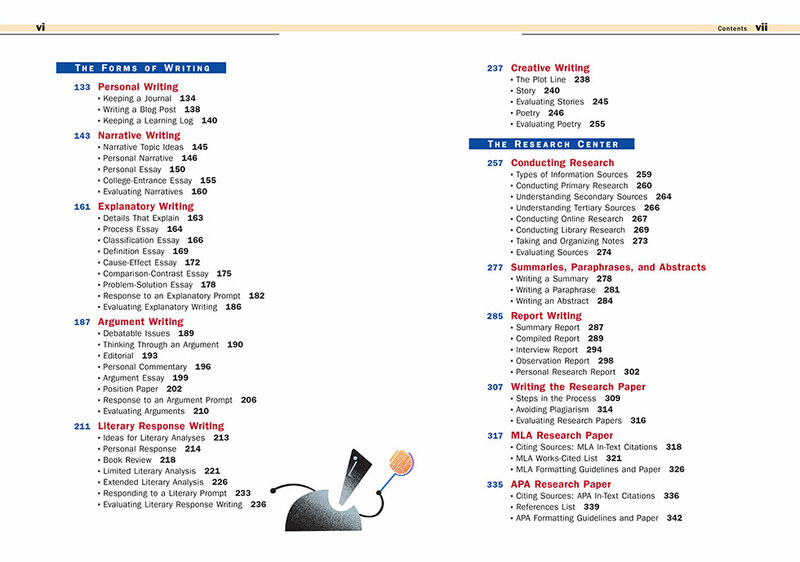 The Student Almanac provides fascinating facts for language, science, math, and social studies courses. Write for College . 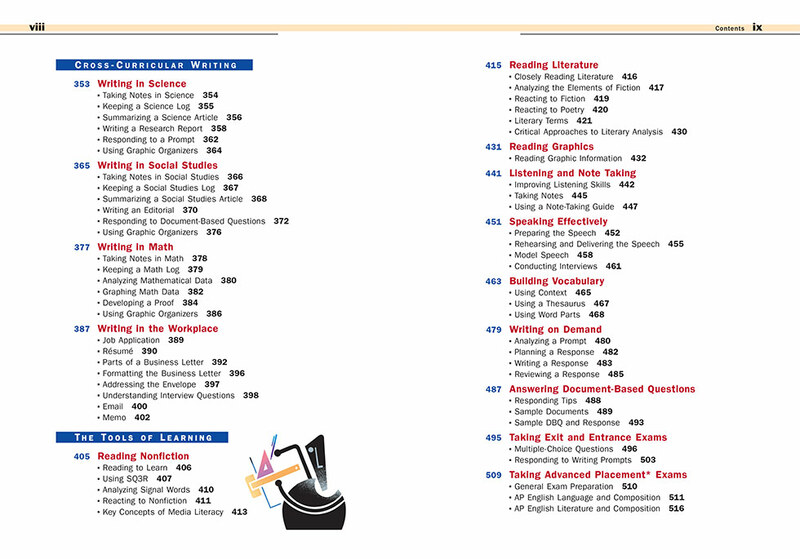 . .
covers all of the 11th and 12th grade Common Core English/Language Arts standards for writing, reading, speaking and listening, language, and literacy across the curriculum. teaches rigorous research skills with guidelines and models for Modern Language Association (MLA 8) and American Psychological Association (APA 6) documentation styles. helps students improve learning: reading nonfiction and literature, visual literacy, speaking and listening, studying, and taking tests. 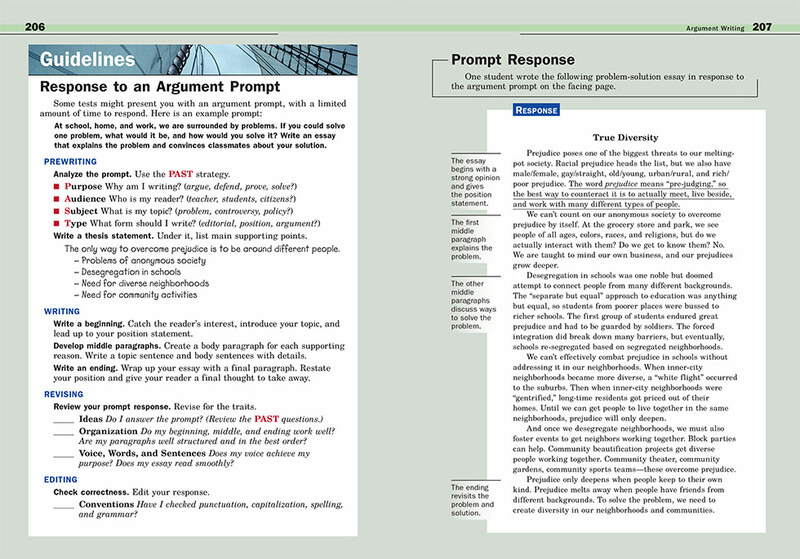 A free online teacher's guide provides teaching suggestions, models, minilessons, topic ideas, digital downloads, and much more. 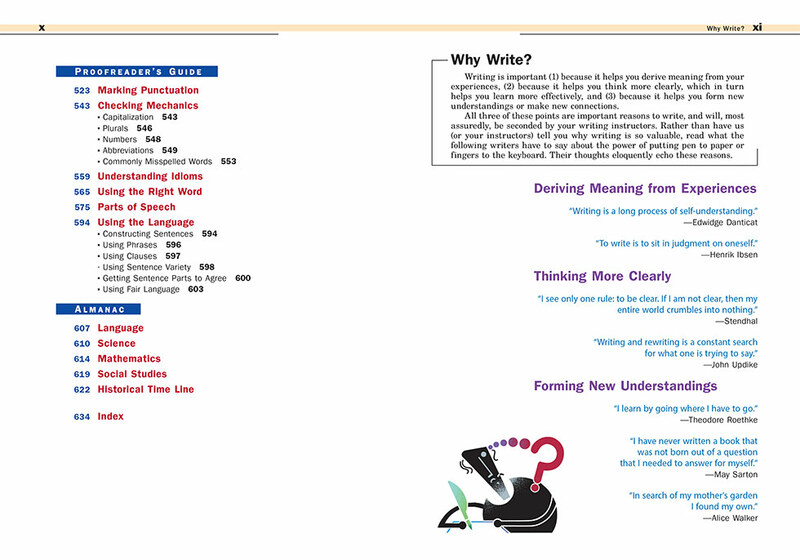 It also correlates every page of Write for College to the Common Core State Standards. To see how these components work together, download the Program Overview, which includes a 3-step process for getting started.